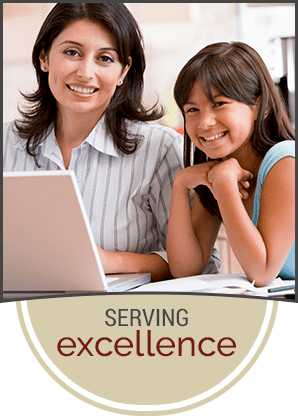 Southwest Regional Education Cooperative offers technical assistance and access to additional resources for member districts to help ensure that all students receive a free, appropriate education. The federal government sets aside funds for several public school initiatives including safety, health, drug/alcohol prevention, and technology. Many of these grants are available to schools that fall within certain demographic categories. To streamline the processes of applying for funds, the federal Consolidated Application was developed. SWREC facilitates member districts' program applications for these funds. For more information about this service, feel free to contact our office. The E-rate program, administered by the Schools and Libraries Division of the USAC, was set up in 1997 when the FCC implemented a program designed to ensure that all schools and libraries have affordable access to modern telecommunications and information services. Funds are set aside annually to provide telecommunication discounts of 20–90% to schools for phone and Internet service and internal communication systems. Discounts are based upon each applicant’s economic and locale factors. Southwest REC supports public schools and libraries within our member districts (including charter schools) to secure E-rate funding and approved technology providers. As part of state licensure requirements, teachers must clock a certain number of professional development hours each year to be eligible for PDD and advancement on the three-tier licensure system. However, those hours can be hard to meet when you live in rural areas. The SWREC has partnered with member districts to meet this need. We’ve received two grants from the U.S. Department of Agriculture and Rural Utilities Service to install distance education and videoconferencing equipment in member districts! We will also help our districts utilize this equipment, coordinate professional development opportunities with various schools, and facilitate distance education to meet the requirements of the Professional Development Dossier (PDD).